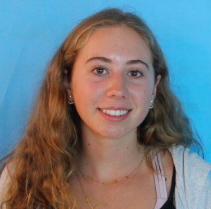 Staff writer, Annabelle Iannone ’21, has always had a strong passion for writing that grew even stronger after taking Intro to Journalism as a freshman. While in the class, she fell in love with writing articles and the editing process. Iannone hopes to write a short story about a girl who gets bullied. “My brother got bullied so I kind of took some of his experiences and used it,” Iannone said. Although she has a lot going on between school, Inklings and writing her book, Iannone still finds time to for sports and music. She has played volleyball for three years and played piano for 10. Although she does not plan on becoming a professional pianist, she is thankful to her mom who inspired the hobby. Overall, Iannone is very excited to be in Advanced Journalism and to start her Inklings journey and continue her passion for writing.